We want to be really clear before we keep talking that being anti-GMO doesn't make you stupid or someone we don't want to be friends with. 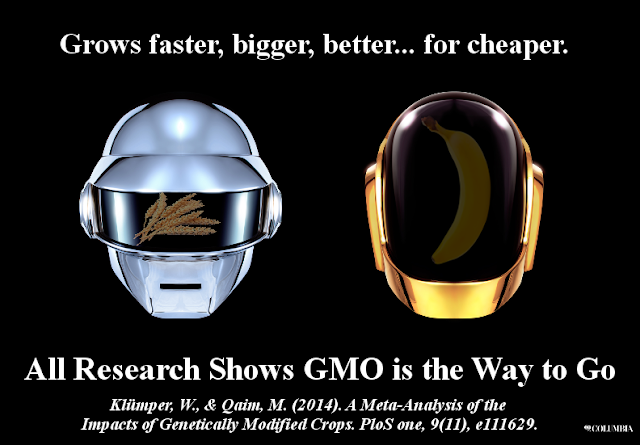 However, the science is firmly in the camp of pro-GMO, for a lot of reasons we don't have time to go into. 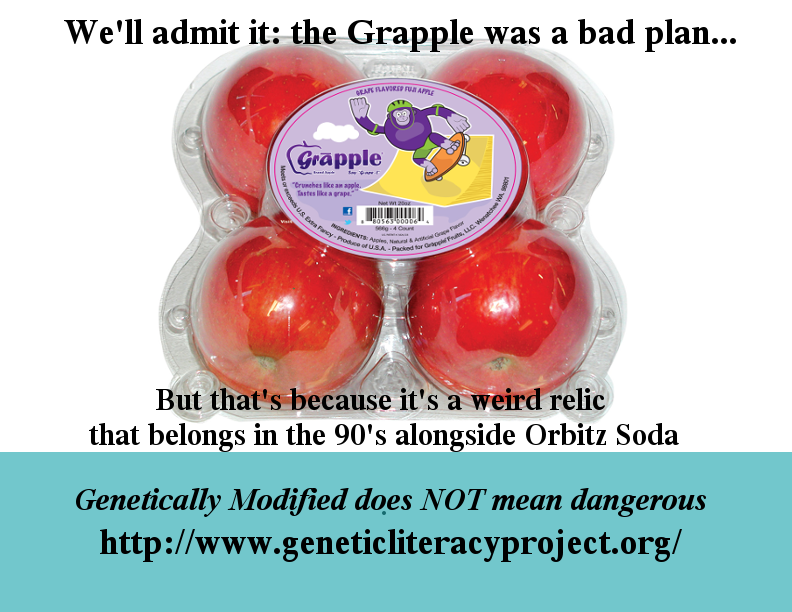 If you are anti-GMO, you need to read some more scientific literature. 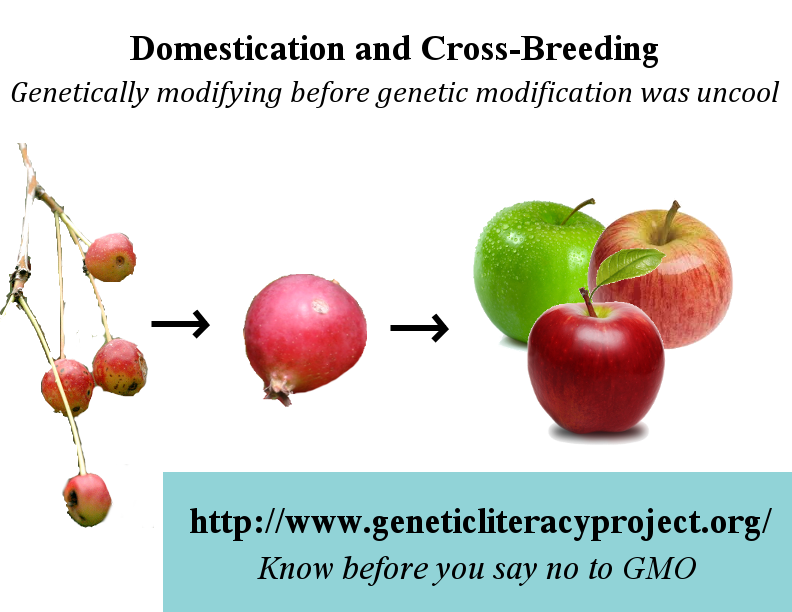 Also, labeling your GMO products is a moot cause because of extensive gene transfer and the fact that genetic modification used to be done just by cross-breeding rather than the scary-sounding but super-legit-and-precise delivery mechanisms used today. Basically - GMOs are not inherently bad for you, and the paranoia about them is completely unjustified. In Oregon GMOs are so big bad and scary that we nearly passed a "label our GMO" campaign. OSPIRG (an acronym Meaghan does not want to bother sorting out - she has research to do) has run a huge propaganda campaign at the University of Oregon and papered signs all over campus. Meaghan likes to write aaddendums to these signs when she is particularly pissed off, usually scribbled citations or snarky comments over the most pertinent part of the poster. However, the fact that this election year was so close on the GMO labeling issue shows that this explosion of misinformation is really, truly getting heard. Panicking about your food is super hip these days, and GMO tend to take the brunt of it with plenty of people shouting the same lines over, and over again until that's all that gets out there about the topic. When we looked for good Pro-GMO sites to cite, NONE of them were on the first page. 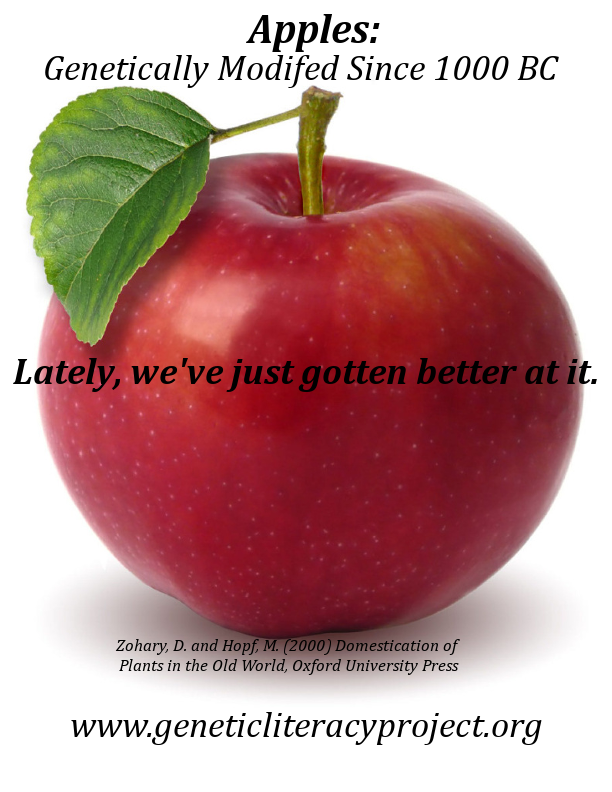 We've decided to do something to get the scientific argument out there: we're going to run a counter-poster campaign, papering some pro-science and pro-GMO posters up in the same hallways that have long paid homage to unjustified food panic propaganda. But we need your help! Meaghan has made many hilarious/and/or supremely bitchy posters. Which do you like the best? Which do you think is most effective? Also, are there any spelling or grammatical errors??? Tell us in the comments! 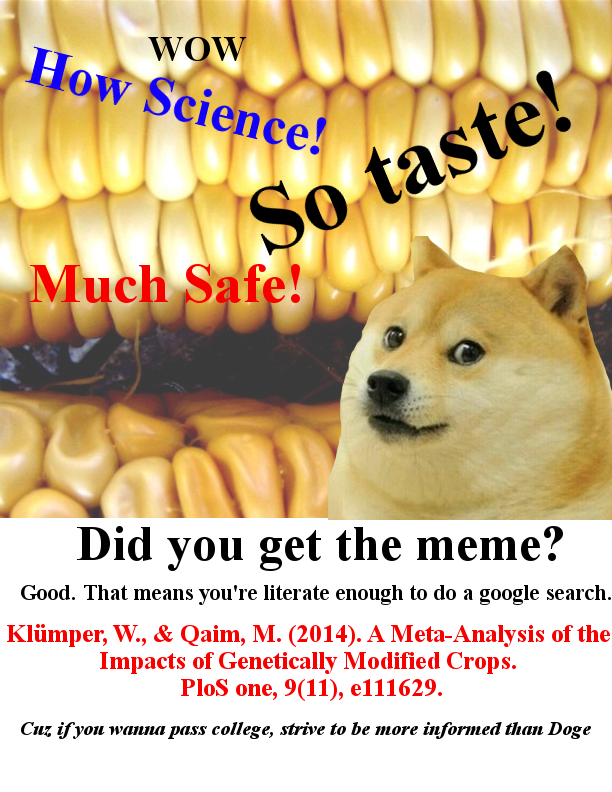 And if you like the posters, feel free to steal them and print them out at your own school or workplace - spread the pro-GMO info. Once we've gotten a little feedback, we'll upload PDF versions so you can have the high-quality snarkfest posters that your university deserves. Hey did you know we're on Facebook and Twitter and Instagram and even Google +? 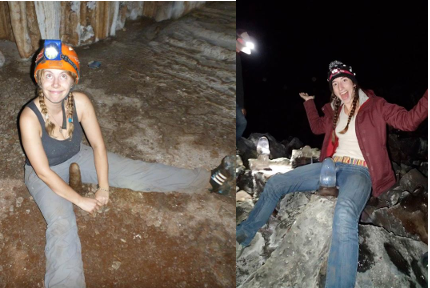 Yeah, it's pretty cool. You should probably follow our blog on the social media platform of your choice, cuz Meaghan writes a mean tweet and Amy is hella good at filters.